Shannon has more than 15 years of experience working in Social Work, Case Management, and Crisis Intervention settings, helping individual’s and their families access community resources to meet their needs and live healthier lives with increased independence. 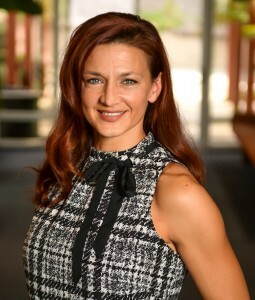 Shannon earned her Bachelor’s Degrees from Vanderbilt University in Cognitive Studies and Psychology before continuing to Fuller Theological Seminary for her Masters Degree in Psychology. Shannon Specializes in utilizing Cognitive-Behavioral Therapy techniques to teach individuals how to develop and master their “toolbox” of effective coping skills that will equip them to manage the emotions, symptoms, and “dings & dents” that come along the journey of life. 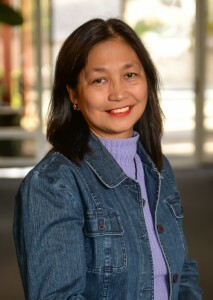 In 1982, Maria Cristina earned her Bachelor of Science degree in Psychology from Adamson University in Manila, Philippines and was accredited by Foreign Equivalency Agency. She has been serving individuals and families as early as 1979 as a ministry worker for her church. Today, Maria Christina continues to work with the elderly and family members, supporting them through difficult times, and ensuring that vulnerable individuals and adults are safeguarded, guided and advocated for. She is empathetic, compassionate, energetic, person-centered, meditative, deeply spiritual and serving with passion. The diversity of Mrs. Blanco’s background has influenced her approach and love of community agency work, which has been deepened by seven years of successful service as a social work assistant. 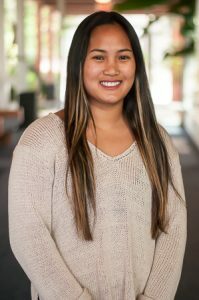 Sarah is a recent college graduate from San Diego State University, where she received her Bachelor’s degree in Gerontology. While working towards her degree, Sarah participated and eventually completed an internship with the Meals-On-Wheels organization. She has worked in various programs geared towards helping the elderly and the developmentally disabled, which lead to Sarah working in CBAS. Her approachable and caring personality allows Sarah to engage herself with those individuals she is helping, whether it is through laughter or sharing stories.